MANILA, Philippines – Among all South East Asian Nations, Philippines is the only country who has a strict security policy in all private and public establishments. If you’ll be able to visit the malls in Singapore, you’ll never see any security personnel stationed at the entrance doors to conduct a mandatory search in everyone’s belonging. It is because petty and organized crimes are prevalent here in our country. A lot of foreigners are complaining with Philippine-establishments’ security protocol. Take Kosin Prasertsri as an example. The Thai national who used to work for Cognizant Technology Solutions Philippines but got deported by the Bureau of Immigration after bashing the Filipinos with racist remarks. Prasertsri lambasted the Philippine building policy for conducting security search or frisking in his personal stuff upon entering the premises. It’s undeniable that Filipinos hate this security policy as well for it is time consuming and somehow we feel that our privacy is being violated. Some make fun of it because most security guards just peek in our bags without really knowing what’s inside. But Kudos to some of the Marshalls who really enforce their authority and do their jobs whole heartedly. A video of a mall security guard is now circulating around the web. A heated-scenario between a mall-goer and a lanky security caught on CCTV. 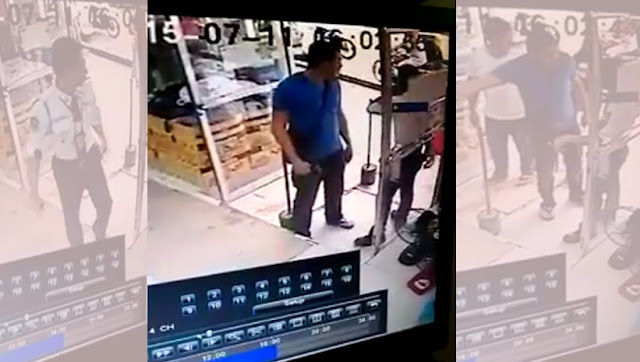 A closed circuit television (CCTV) in Novo Mall in Dagupan City caught a big-bodied customer with a sling bag entering the mall and refused to get inspected by the guard on duty which is a Standard Operating Procedure (SOP) and mall policy. The man started the intense argument while pointing inside and outside the mall. All of a sudden, he swung his muscled right arm towards the face of the guard that made poor door keeper off his balance and obviously in pain. The man was later identified by the concerned netizens as a government official in Dagupan City. 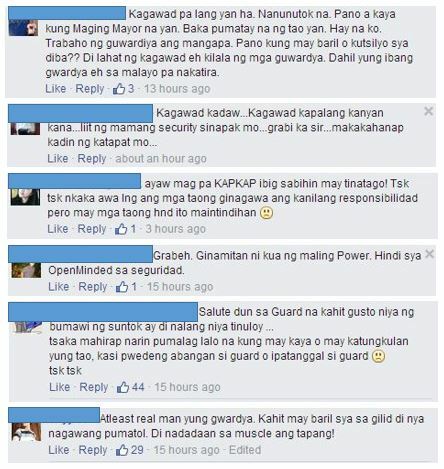 Netizens shared their sympathy with the attacked guard and rage towards the mugger. Novo Mall hasn’t released any official statements yet with regards to the issue nor any legal actions to file against the unidentified assailant of their security guard.